An Iglesia Ni Cristo temple with the all-too familiar soaring spires: Expansion to the West began in Hawaii in 1968. 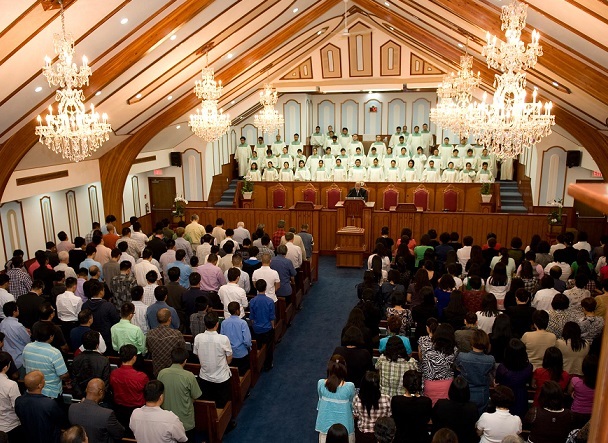 The purchase of Johnsonville gives the Iglesia Ni Cristo (INC) – or Church of Christ — a total of four locations in Connecticut. 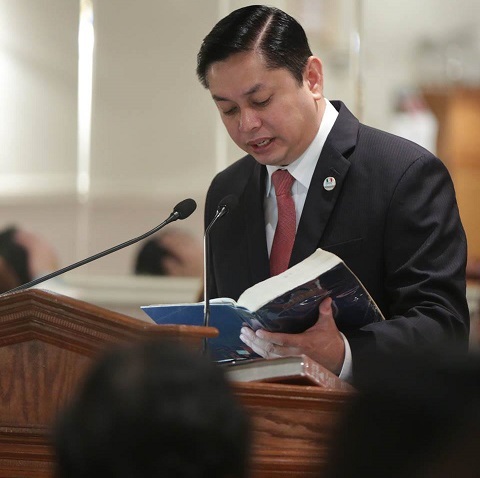 There are already INC churches in Bristol, Stamford and Windham — a total of 32 local congregations and missions in the Northeastern Seaboard, said Brother Joji Crisostomo, INC district minister for the Northeastern Seaboard or NESB. The question on most everyone’s mind: What to do with Johnsonville? If the small town of Scenic, South Dakota is any indication, the 46-acre property acquired by the INC in 2011 for a reported $800,000, remains a work in progress. Four years after the purchase, the church has used the Scenic Community Hall for weekly services, according to the Rapid City Journal. 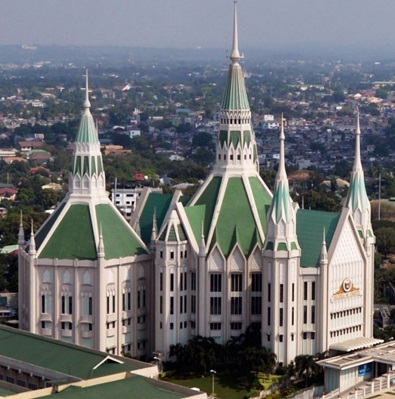 “Since then, Iglesia Ni Cristo has not filed any building permits, nor has it stated plans for the land or filed for tax-exempt status. The church has, however, started administering services for its followers and others,” says the 2015 news report. Four years after the acquisition, the INC appears to be biding its time in developing its property. It could go either way in Johnsonville in Connecticut’s East Haddam town which was bought by the INC for $1.85 million. While the townspeople are excited to see the deserted hamlet finally come to life again, they are also curious to know what the development will entail. Long-time East Haddam resident Laurie D’Aquila recalled fond memories of Easter Egg Hunts at the sprawling Johnsonville compound organized by the local fire department. “The fire department hides the eggs and gives prizes to kids. I went as a child and took along my younger brother until I got married and took my sons. It was a really cool place to go,” she said. Crisostomo said surveying the needs of the region and partnering with local governments and community organizations will be a priority for the INC moving forward with Johnsonville and other acquisitions. In Scenic, he said, plans are “primarily community and relationship-focused.” He spoke of “sharing the gospel” and meeting the needs, both spiritually and materially, of residents in the surrounding area. There are questions from townsfolk whether INC will be given tax-exempt status. Churches and religious organizations, like many non-profit charity institutions, are general exempt from federal taxes, under certain conditions. They should not engage in political campaign, attempt to influence legislation, or violate public policy. The landmark case of Bob Jones University in South Carolina comes to mind. In the 1970s, this Protestant institution had its tax exemption withdrawn over issues of racial discrimination, which is a violation of public policy. The exemption was later restored after the university restructured its organization. It’s an issue that will have depend on what the INC’s final plans for Johnsonville are. For the moment, the INC is looking forward to its 104th anniversary in 2018, marking also 50th year in the Americas, when it established its first overseas congregation in Ewa Beach, Honolulu. This was quickly followed by another mission inaugurated in San Francisco. “2018 is a big year for the INC,” said Crisostomo.